Includes (1) pinata, candy and toy pinata fillers, (1) pinata blindfold, and (1) pinata buster. 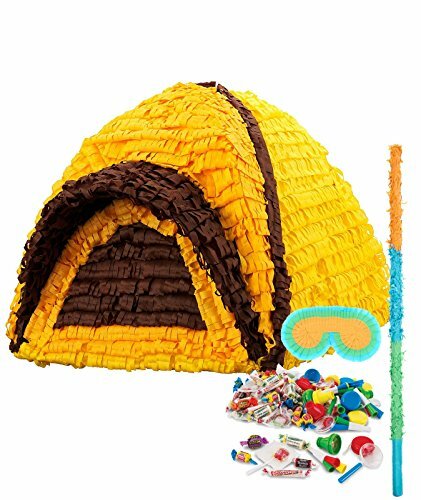 Let’s Go Camping Pinata Kit includes: (1) Let’s Go Camping Pinata, Candy and Toy Pinata Fillers, (1) Pinata Blindfold, and (1) Pinata Buster. B00J9TEVVC is not a valid value for ItemId. Please change this value and retry your request.